Born in the Sahara Desert in the Timbuktu region of Mali, Awa Sangho is known for her stunning voice and high-energy drumming and dancing. Her music percolates with the rhythms and sounds not only of Mali, but of the Ivory Coast and Senegal, where she has lived, and of Guinea, land of her mentor, Soulemane Koly. 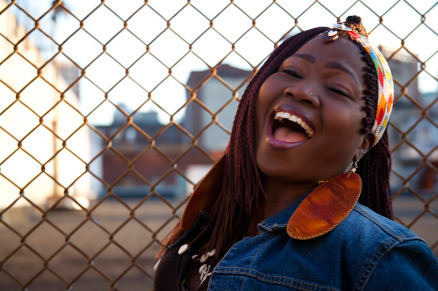 Sangho’s socially conscious songs, written in various West African languages, reflect on controversial cultural traditions, her hopes for today’s youth, the plight of mothers and children, and the people who forged her path. Sangho has performed around the world with her group Koteba, and she recently released her debut album on Motéma Music. Awa Sangho will be joined by Daniel Moreno (Band Leader & Percussionist), Yakouba Sissoko (Kora), Fred Doumbe (Bass), Gustavo Dantes (Guitar), Abou Diarrassuba (Drums), and Balla Kouyate (Balafon).